Universities are constantly growing to meet the needs of increasing enrollment and a changing society. The challenge is to do so sustainably. 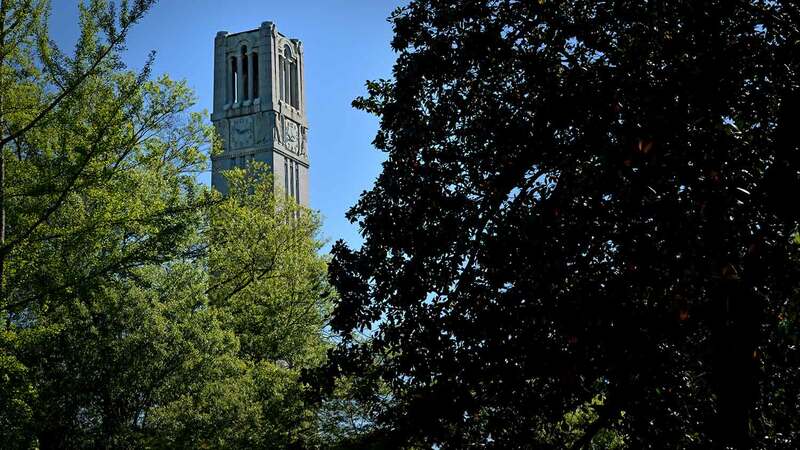 Through its master planning process, NC State examines the institution’s impact on the surrounding community and attempts to minimize any detrimental effects. Several of the guiding principles in the university’s Physical Master Plan illustrate NC State’s commitment to sustainability, a pedestrian-oriented campus, open space and responsible development. 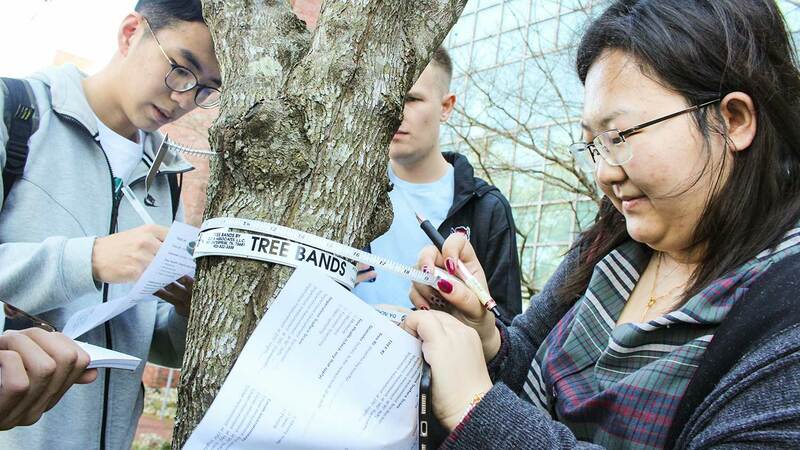 More and more NC State is considering sustainability it campus landscapes. Native, drought-tolerant plants are integrated where possible, as is permeable pavement and rain gardens — many of which have been designed and installed by NC State horticulture and landscape design students. Like many municipalities, NC State incorporates best management practices to address stormwater quality and quantity on campus. The goal of this effort is to reduce pollutants — such as heavy metals, sediment, nutrients, oil and toxic substances — from entering local waterways. NC State features cutting-edge research in land use and care. The Department of Forestry and Natural Resources has many faculty research, centers and cooperatives. Other land use related areas of research include the Department of Applied Ecology, Biological and Agricultural Engineering, Entomology, Horticulture Science, Plant Pathology, Soil Science and Landscape Architecture. are part of NC State’s Raleigh campus. Lonnie Poole Golf Course at NC State is a certified Audubon International Signature Golf Sanctuary — one of only two university-owned golf courses to earn this sustainability certification. From a garden built on steam pipes to numerous Design/Build courses that built many rain gardens and low-impact landscape areas on campus, students have applied knowledge from the classroom to campus land. Rocky Branch and North Creek are two urban waterways running through NC State’s campus that were restored to improve water quality and create an improved aquatic and wildlife habitat. 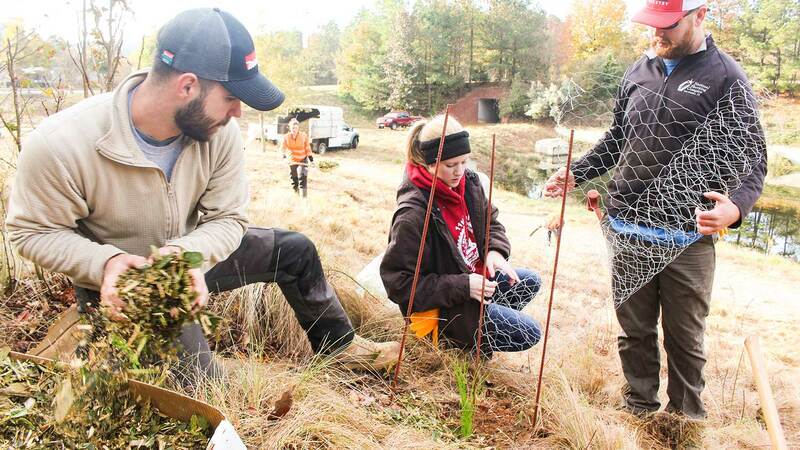 NC State students and staff planted longleaf pine tree seedlings on Centennial Campus.